Hey guys! How are you today? It's cold here, a bit windy. Oh I am so happy that the spring is so near. However, it's still cold and the skin have special needs. I will talk about Phytorelax shower gel and body lotion. 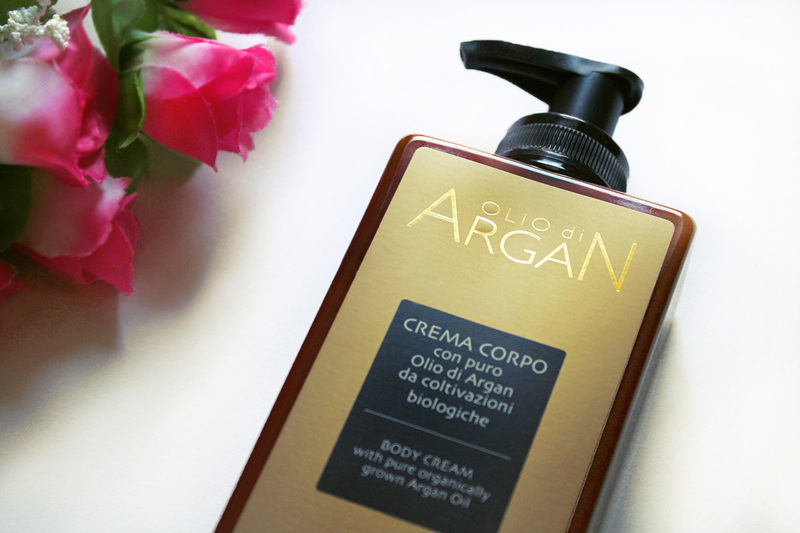 Argan is a tree that grows in uncommon conditions. 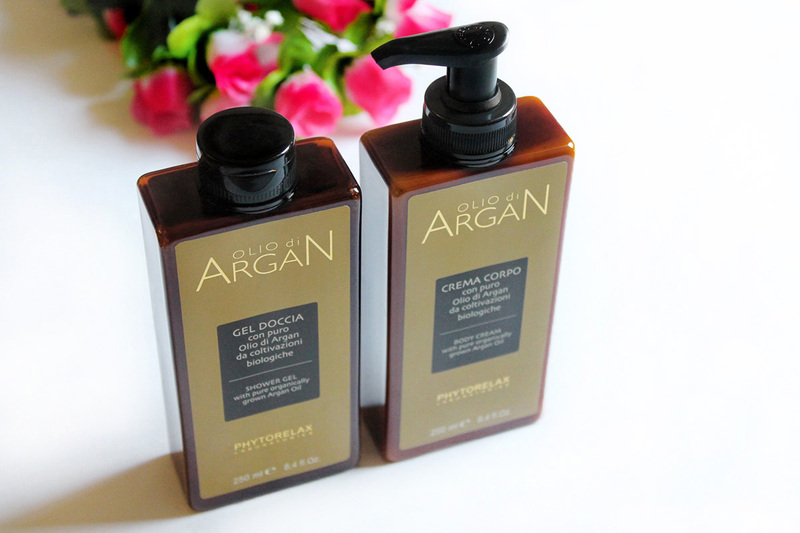 Argan oil is full of anti-oxidants made in Morocco. The fragrance is so fresh and wonderful. 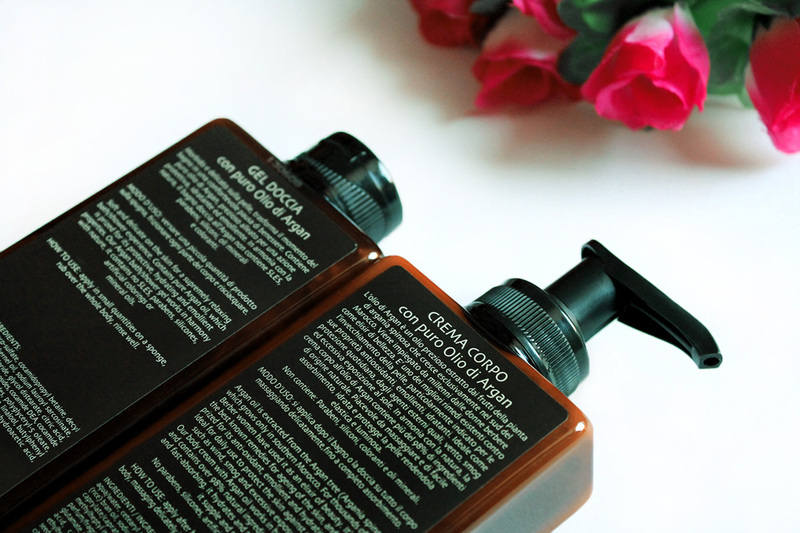 With a small amount of shower gel and body lotion your skin will be so soft and smooth. Don't worry, you don't need to spend a fortune for all this. Phytorelax is a low cost brand and your skin will thank you. Leave my your comments. It sounds fantastic. I've become so addicted to using oils. This product is so nicely packaged! I think it's something I'd like to try. I really love this packaging and your photography is lovely! Adoro i prodotti all'argan, questi sembrano ottimi! li uso anch'io e ne sono assolutamente innamorata :D! Mi piace abbastanza questa linea di cui ho provato i prodotti viso. Adesso la crema corpo è nell'armadio pronta per essere provata non appena finisco qualcosa di aperto!